Test your might! Earth defenders Liu Kang, Raiden, Johnny Cage and Sonya are united in force with Singomakers to protect Earth from underworld invaders with the power of TRAP music! Just feel the power of Trapality! Our secret weapon in this Mortal Music Combat is 1.41 Gb of wav 24 bit samples at 150 BPM including 60 Bass Loops, 20 Drum Fills, 60 Drum Loops, 80 FX, 80 Midi, 210 One Shots, 20 Perc & Ride Loop, 250 Rex2 Files, 11 Sampler Patches, 80 Synth Loops, 10 Vocal Loops and 20 VST Synth Patches (10 Massive Patches, 10 Sylenth Patches)! All recorded with the help of the God of Thunder ‘Raiden’ at the mighty Singomakers studio using professional outboard equipment like Manley, SSL, Avalon, UAD and more! 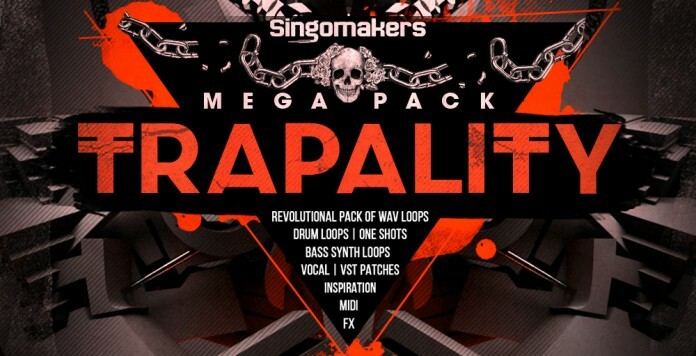 Like all Singomakers mega pack series you get lot of powerful elements like Punchy Beatz, Fat Basses, Modulated Synths, Twisted FX, Vocals, Phat one shots, Patches and a lot more to create your next Trap Dancefloor Killer! Don’t loose the time, choose your destiny and help Earth Defenders to stop Shao Kahn intervention with the help of Trapality! Let the Combat begin! Fight!